January 23 is Netaji Subhas Chandra Bose Jayanti (Anniversary of Respected Leader Subhas Chandra Bose) in India. This holiday commemorates the birth of Subhas Chandra Bose, a prominent Indian nationalist. 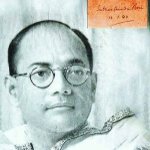 Subhas Chandra Bose was born on January 23, 1897 in Cuttack, Orissa to advocate family. He was the ninth child of fourteen siblings. The headmaster of the Protestant European School, where Bose studied with his siblings, admitted, how brilliant was Subhas. Later he was admitted to the Presidency College, where he studied briefly. Subhas showed his nationalistic temperament during the education in the college. He was expelled for assaulting a professor for his anit-India comments. Bose played a significant role in gaining independence form British rule. He used his power to establish relations with Nazi Germany and Japan. This extraordinary step left a troubled legacy, but in the end it led to revamping of the Indian National Army. Netaji Subhas Chandra Bose Jayanti is observed primarily in West Bengal, Orissa and Tripura. Schools and colleges organize different events, like cultural programs and quiz competitions to commemorate the great personality. Numerous processions are held in small towns and cities. The processions feature children dressed up as Netaji Subhas Chandra Bose. People also sing patriotic songs to honor the contributions made by this legendary leader.